Choose heels that feel comfortable to walk in. High heels or pumps can feel comfortable to wear if you find the right fit and style. Unlike most other styles of shoes, heels can prove difficult to walk in if the fit isn't just right. Be sure to purchase high-quality shoes for the most comfort and durability, and remember that comfort and the right fit can make hours on your feet seem bearable rather than burdensome. Try on the pairs in your size that look the most comfortable. Leather is the most comfortable material for a high-heeled pump because it absorbs moisture. This is especially important when you wear your heels without stockings. Be sure to walk around in them as much as you can in the store to get a feel for how they fit. Note that sizes may vary according to brand, so you might have to try a half-size bigger or smaller than what you are used to. Consider the style of high-heel pumps and how long you will wear them. The higher the heel, the less time you will want to spend on your feet in them. 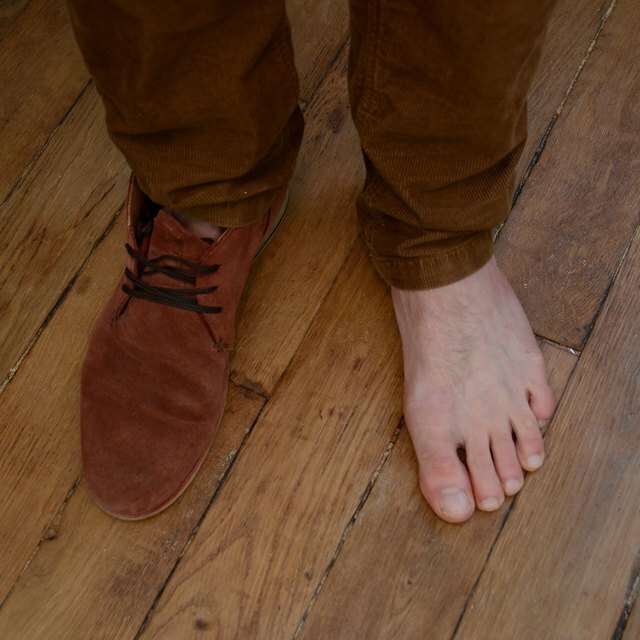 If they are too tight in any place, consider another style that gives your feet room to breath. Above all, consider comfort and wearability over trendiness when it comes to finding the right fit. Try on high heels at the end of the day, after your feet have had time to swell slightly. This will help you avoid making the mistake of buying shoes that fit in the store but then seem tight when you wear them later. What Is the Difference Between a Narrow and an AA?